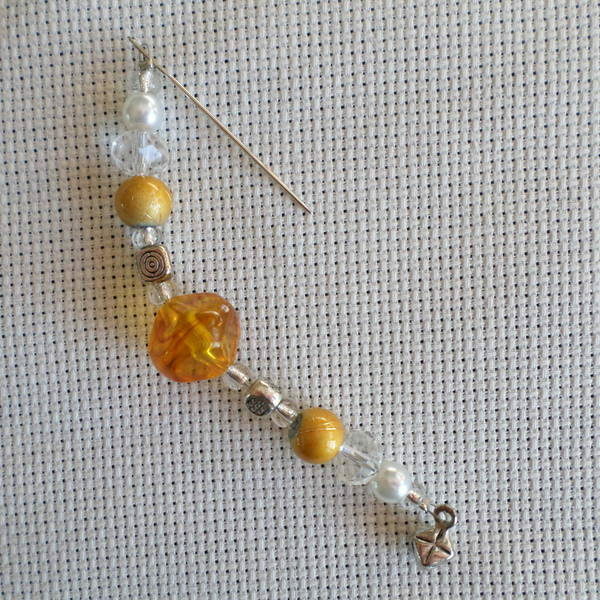 This is a needle minder which is a handy place to store your needle if you have to put down your work for a few minutes. No more lost needles! The needle minder has a magnet attached plus there is a separate metal disc. The metal disc goes underneath your fabric and the needle minder goes above it on the top of your fabric. 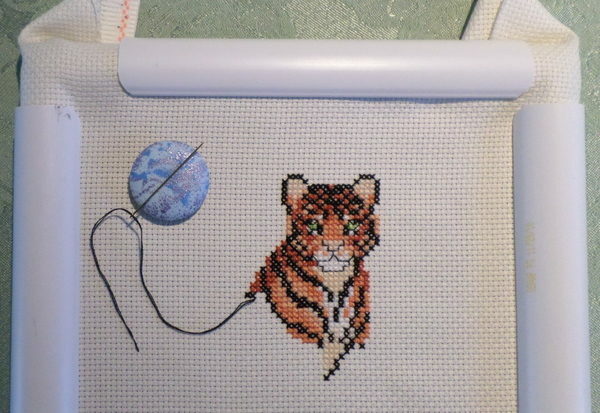 So it is now attached to your work and you just lay your needle across the disc when you want to store it. Place it within your frame but away from your stitching area. Light weight so it won’t weight your work down. 28 mm across. Design may vary slightly from the photo.